Bevan is a ripping freeheeler from California who lives in a van named Bubba. I’m from the south Bay Area where I grew up skiing in Tahoe in the winter and surfing in Santa Cruz in the summer. I started skiing when I was 4 and switched to telemarking when I was 12. Since moving to Tahoe, my favorite places to ski are Kirkwood, Squaw Valley, Alpine Meadows and the surrounding backcountry. 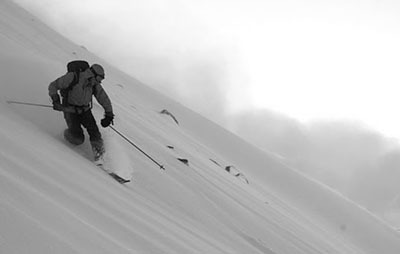 I love the freedom and fluidity of the telemark turn. I also love the endurance required to gracefully ride down the mountain. 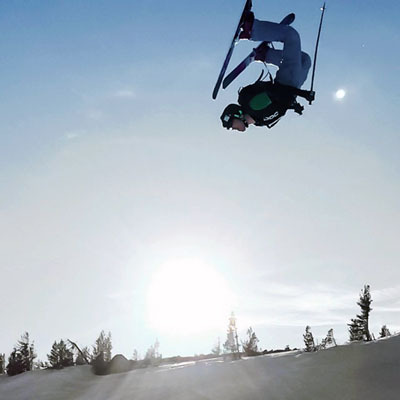 Telemark skiing is more than just a turn though. The like-minded people that encompass the sport’s culture keep the vibe positive, progressive and accepting. 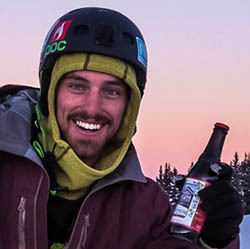 The durability of 22 Designs bindings is unparalleled. When you’re out in the backcountry miles from anything, you need to be able to depend on your bindings to work properly. I've had particularly bad luck using various bindings from other companies. Furthermore, the 22D Outlaws (my favorite) have superior edge control and an easily adjustable stiffness that is completed with a true step in system. I like to do a number of other sports in the off season. A few include surfing, mountain biking, and kayaking. In my spare time this summer I’ve been converting a rusty old lifted 4x4 van into a tiny mobile home-office that includes a miniature wood stove for heating during the winter. When it’s finished, the idea is to live cheaply and take this thing on ski trips around the west. I also work as a part time architect designing homes and small commercial buildings in the Truckee/Tahoe City area. My other sponsor is Flylow gear. I work in the ski industry as an editor of the website SnowBrains.com where I write gear reviews and other relevant industry news as well as make short videos. I attended an outdoor film school last season and hope to bring a level of professionalism to my future films. Competitions are scarce for tele skiers, but I hope to build that ladder throughout the next few years.